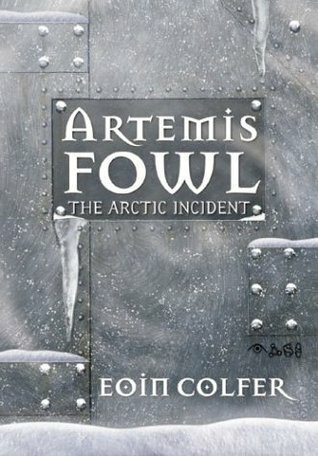 Artemis Fowl was fun and witty with plenty of action and development to keep the pages turning. I went to my local library to see if the action and good humor continued in the rest of the series. The Arctic Incident stepped the game up a notch. The stakes were higher. A new villain was born. Old enemies became new alliances. Standard spy book stuff. A bit to human spy, though. The magic and fairy essence just seems to be missing from this novel despite it taking place in the fairy realm. I was actually quite disappointed. Sorry for such a brief review, I just had such lukewarm feelings. No hate, but no love either. Makes for short thoughts. Had quite an odd moment with this novel. I reached a point in the story where a Bible quote is discussed. Immediately after my morning read, I watched the funeral for George H. W. Bush where the exact same Bible quote was read. I have never had reading so relevant to my life. It was a very eerie day. 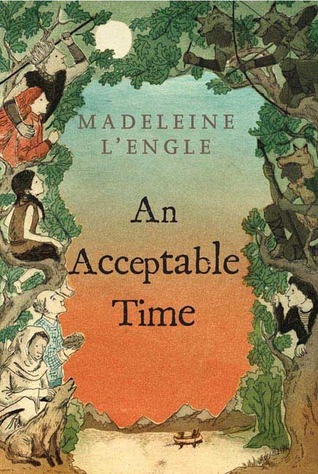 But it really highlighted the beauty of Madeleine L'Engle to me. Polly, the oldest child of Meg and Calvin, is sent to the Murrys farm for the summer to help her education. There she runs into a fellow she met on a random beach on a vacation in Greece--which is just down right odd. I know the world is a small place, but it just felt forced in the book. While I did not like the premise one bit, the book is certainly filled with excellent drama. This is a book about death that triggers some serious philosophical debate. Because it is about death, it is also very much a book about life. Polly is presented with challenges that mean the difference between childhood and adulthood. I respect L'Engle presenting growing up as maturing, not overly flamboyant rebelling. The young adult genre could stand to remember that. You can really read them in whichever order you please because the story lines are unique and finite. But as I stated above, this is a thematic series, and reading them in published order builds the themes and ideas. The characters aren't the main point. Something that no longer seems done in today's writing. Overall, I think the series is worth more than its individual parts, but I feel An Acceptable Time is well worth the time reading. This is most commonly cited as grand poobah when I ask people which Discworld novel is their favorite. I'm not sure why. Now, now--don't pull out the torch and pitchforks just yet. 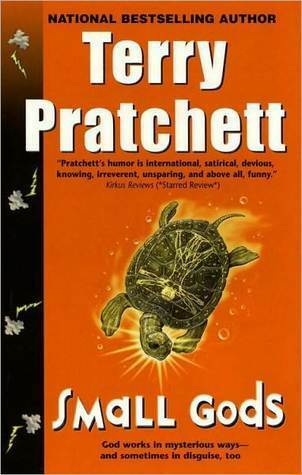 Terry Pratchett is preeminent in the writing of fantasy satire. I even rank religious satire at the peak. I'm just saying I'm not sure why Small Gods is listed in the coveted number one slot of Discworld novels. I mean, who doesn't love trumped up turtles? But even the cute, shelled geniuses can't sway me. The pacing is incredibly slow, however. It took me forever to read this novel and was honestly sluggish enough I chose to read several other novels before finishing Small Gods. This is the first book I've struggled to complete in some time, and I was surprised it was a Discworld novel. We clearly are poking fun at organized religion and its disingenuous past in Small Gods. It just isn't as well handled as many of Pratchett's other works. The satire is clunky and pushed full in our face with exhaustive dialogue. Subtlety has been completely lost in the desert with the small gods apparently. The philosophy versus religion, as well as the crisis of faith, undertones are in some places aggressive and in others passive. Passive-aggressive is annoying. No one likes it. It jars the story telling. The characters were some of the most lackluster in the Disc's part of the multiverse of any novel I have read so far. I think I may have even liked the Faustian characters better--shiver. A look at what the future holds. Or does it? That is the beauty behind this collection of short stories by Arwen Elys Dayton. It will make you think and debate about a topic that is very real. Are we meant for modification? Where do we draw the line in the sand? Are humans capable of playing God? This is not an anthology, but it is a series of short stories. 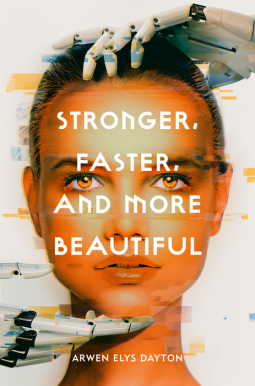 This novel is a timeline of human evolution. Each story revolves around a character experiencing our transition from human to something evolved. Their stories are relative. Through Reverend Tadd, we even get to see how the human reaction evolves. This book will seriously make you think about our future. It lays the foundation for conversations that are being had now in the scientific community but will be had around the kitchen table soon. At first, I was a little off with the short story chapter style. I really got involved with the characters and their part of the human equation when their story would be over. Every chapter has a conclusion to the individual voice with little bridge to the next chapter. It was a little jarring. However, each short story is beautifully built, and I really appreciated the short story format by the end of the book. You will be able to get your copy Tuesday, December 4. Head here to pre-order your very own copy. You won't be disappointed.